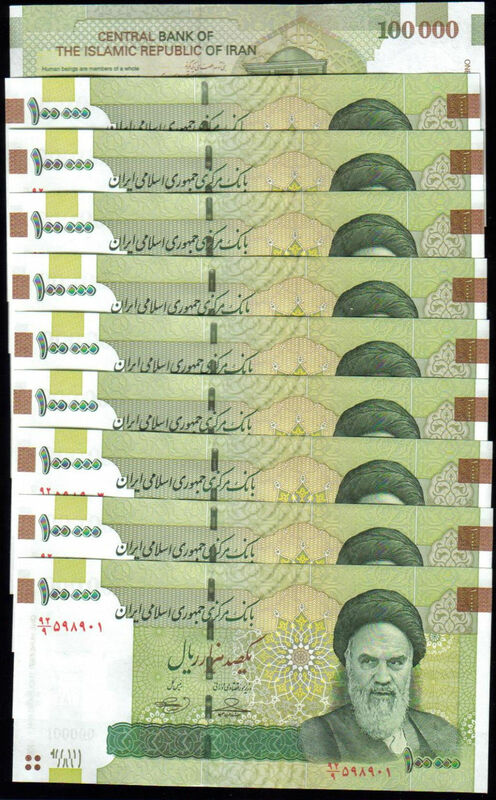 This product was added to our catalog on Saturday 18 April, 2015. 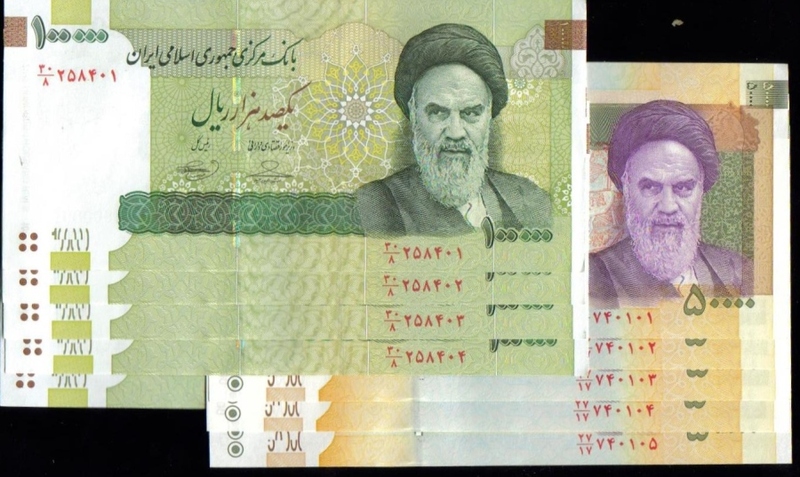 This lot contains the two high denominations of 50,000 and 100,000 Rials, (our choice of how many of each), a grand total of 2,000,000 Rials (Two million Rials). 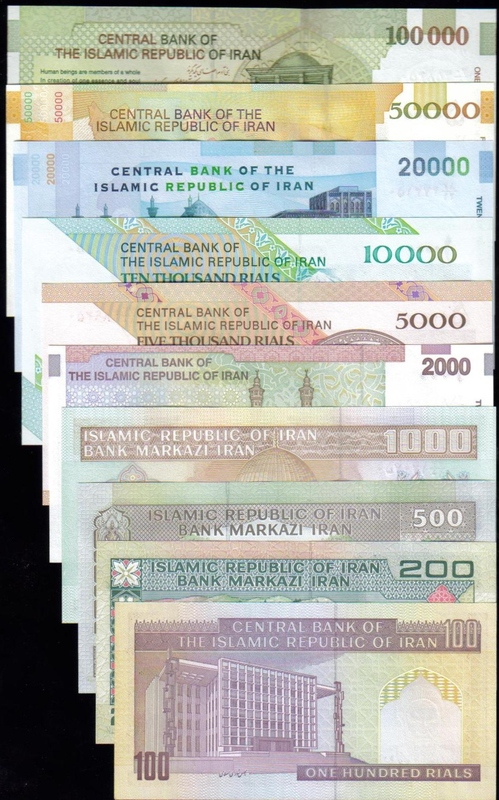 This is a complete set of current banknotes of Iran from 100 Rial to 100,000 Rial. 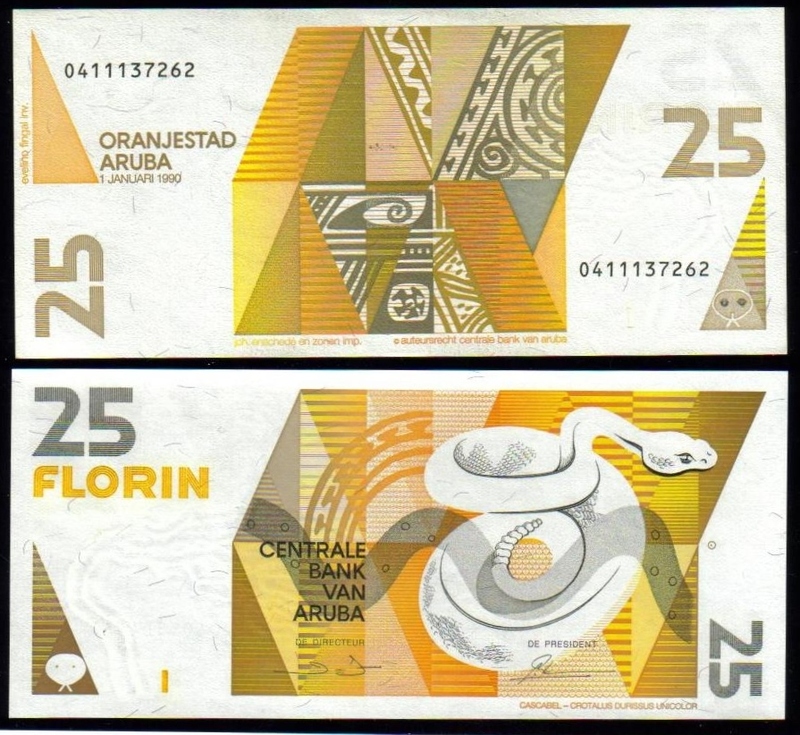 This is a nice way of having a sample of each denominations. 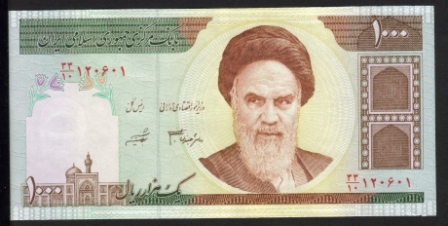 Most low values are no longer printed, and fetch $1 to $5.00 each. 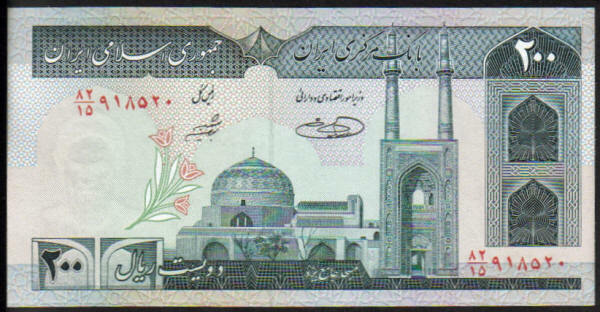 Notify me of updates to 1,000,000 Iranian Rial, One million Rial, UNC.